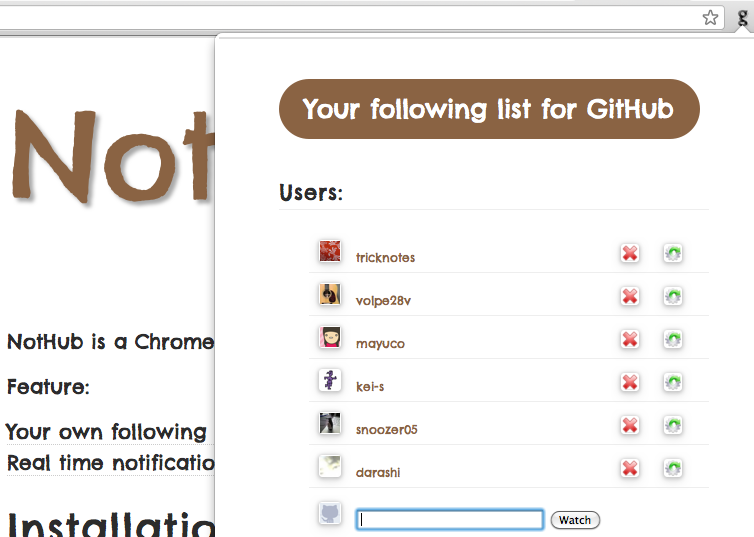 NotHub is a Chrome Extension for GitHub notification. NotHub provides you to notify events that you are just interested. Furthermore, you can take notifications in realtime. You can have a list different from GitHub. NotHub helps you to enjoy social coding more comfortably! It will tell you when your followings do something. © 2012 Ryunosuke SATO. All rights reserved.